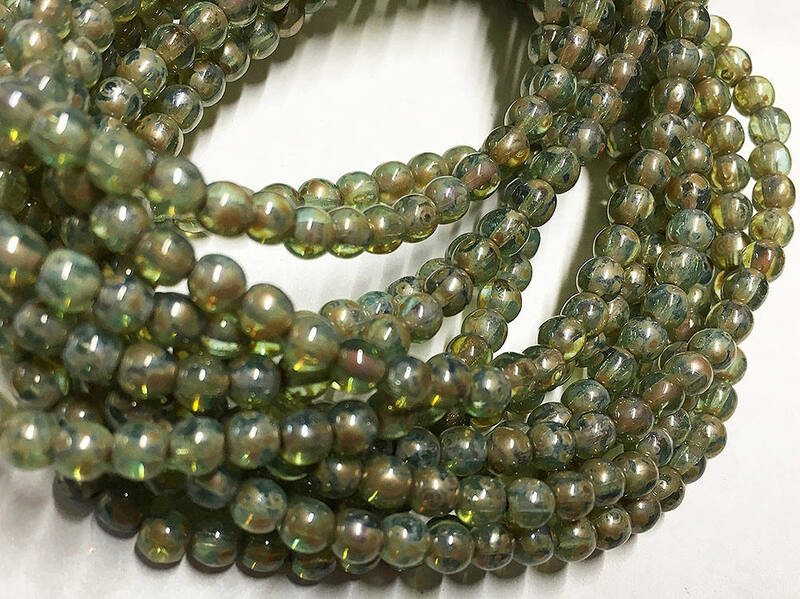 Green Aqua Picasso Czech pressed glass 4mm round Druk beads. There are 50 beads per strand. Love the colors on these beads. Can't wait to create!